This elegant pair of gilt metal and glass lamp bases will make stylish additions to any modern interior, whether classical or contemporary in design. 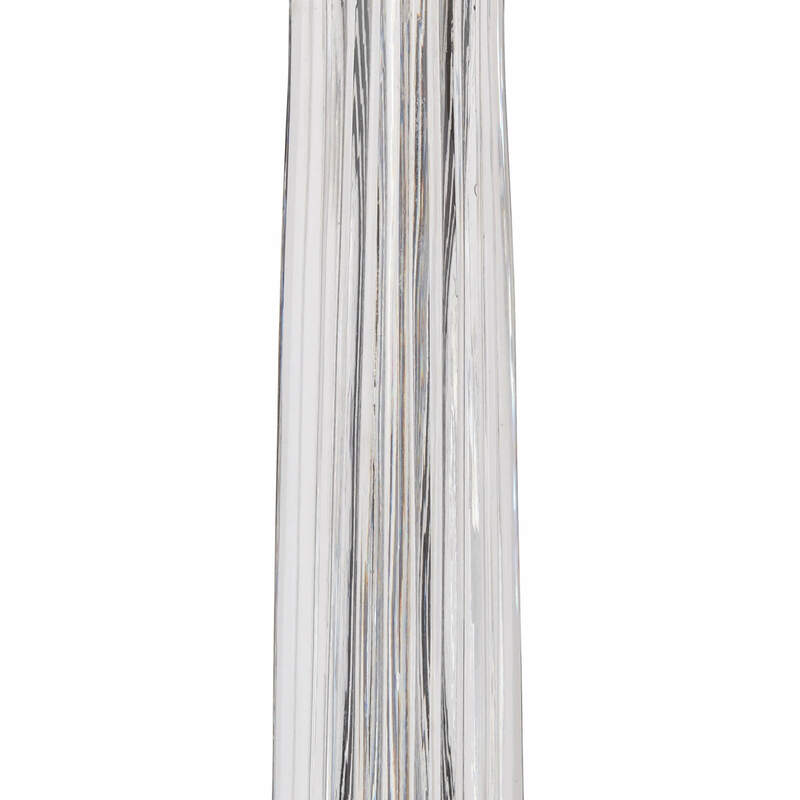 The tall, slender lamp bases exhibit a distinctly modern, sleek, minimal design aesthetic; and yet appear resplendent in their combination of glass and gilt metal. 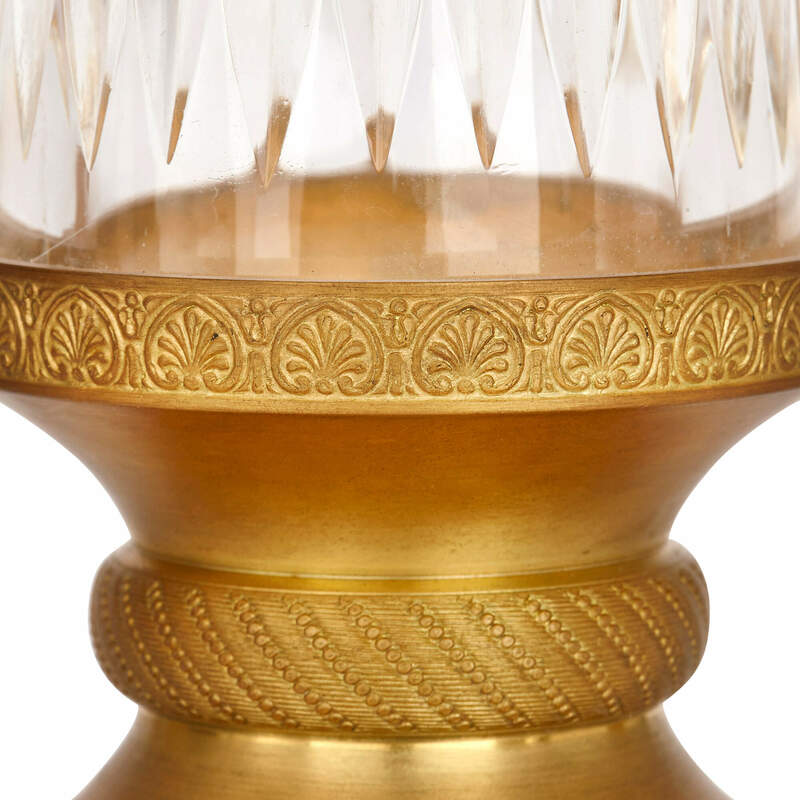 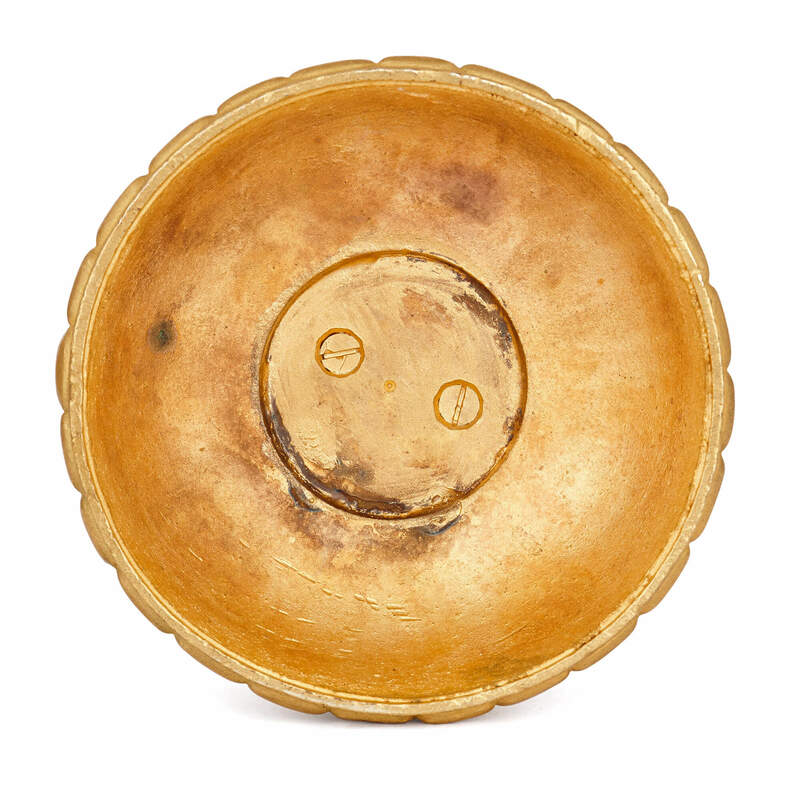 The gilt metal bases are beautifully decorated with foliate motifs and engraved patterns. 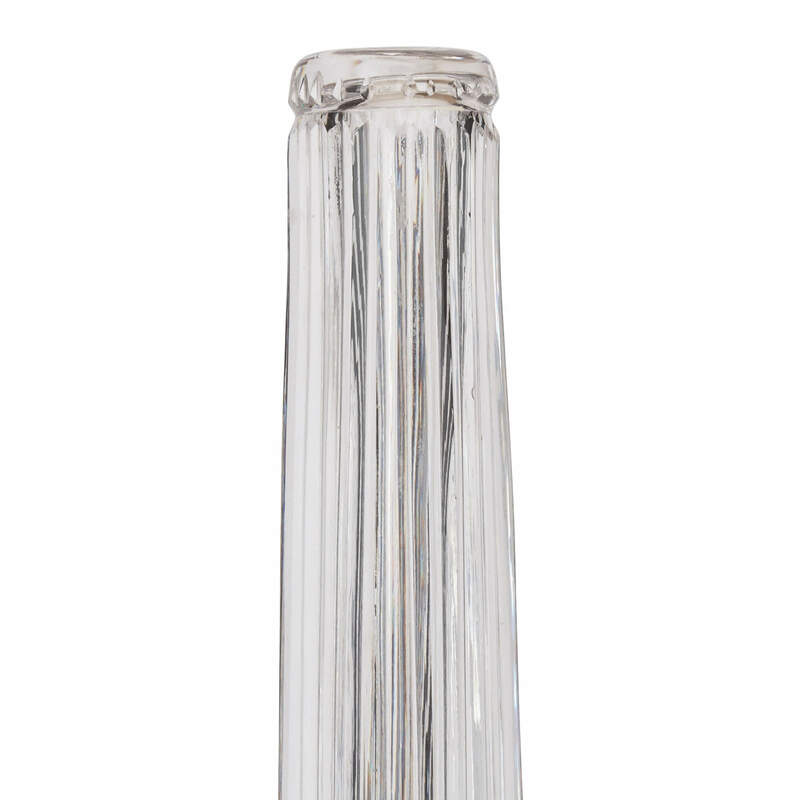 They are domed and waisted, and each base supports a tall, tapering glass stem. 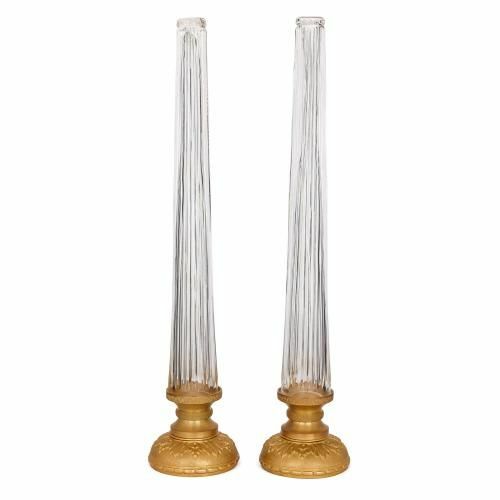 These faceted glass lamp stems will reflect the light of the lamp they are supporting, thereby instantly adding sparkle and ambience to the room they are decorating. 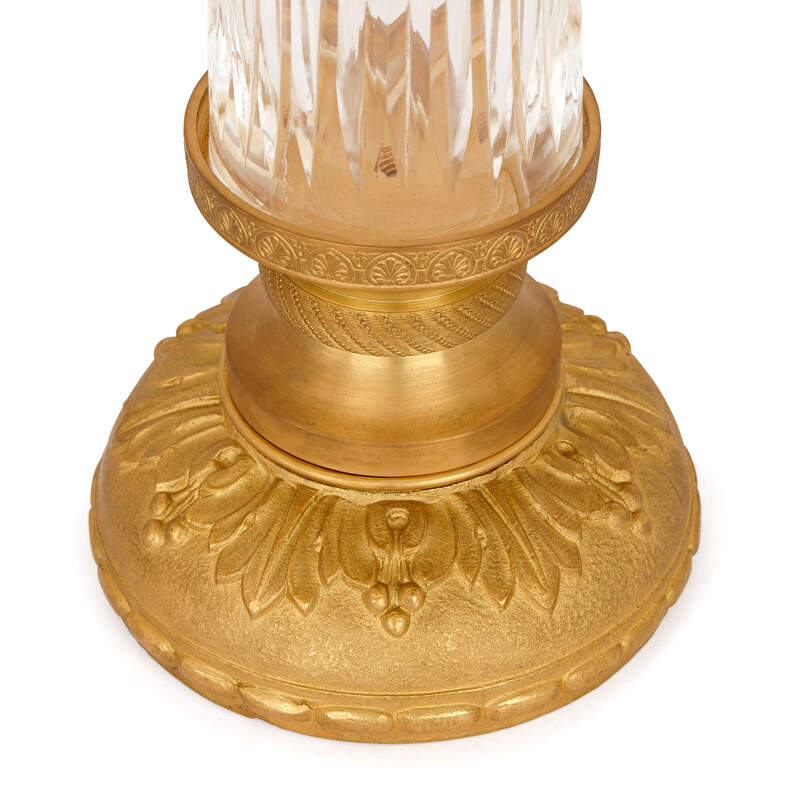 The lamp bases each measure around 61cm in height, making them ideal for use either on a mantelpiece or on side tables.